EZ SKI takes the fear and frustration out of teaching young skiers and replaces it with fun! The ultimate confidence-builder, this awesome trainer teaches basic skiing fundamentals, including proper stance and handle position, improved balance, and weight transfer for turning. 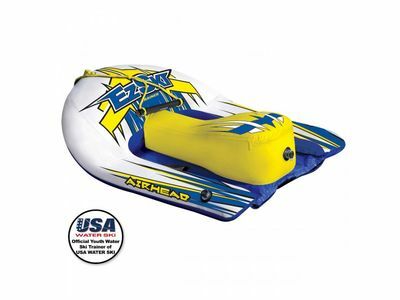 No more fighting with buoyant water skis and ski skimmers, bindings, boat wakes, or ropes!